CFPSM is proud to return as the presenting sponsor for the 2019 Bella Rose Strides for Babies 5K and Fun Run to be held on Saturday, August 19 at WakeMed Soccer Park. Registration and donation details can be found here. The Bella Rose Strides for Babies 5K is a run/walk with proceeds benefiting First Candle held every August at the Wake Med Soccer Park in Cary, NC in honor of Bella Rose Diaz. In May of 2011, tragedy struck the Carolina Family Practice & Sports Medicine family when Amy Diaz, one of our beloved employees, suffered the heartbreaking loss of her beautiful and charismatic baby daughter Bella Rose to the dreadful mystery that is Sudden Infant Death Syndrome or SIDS. 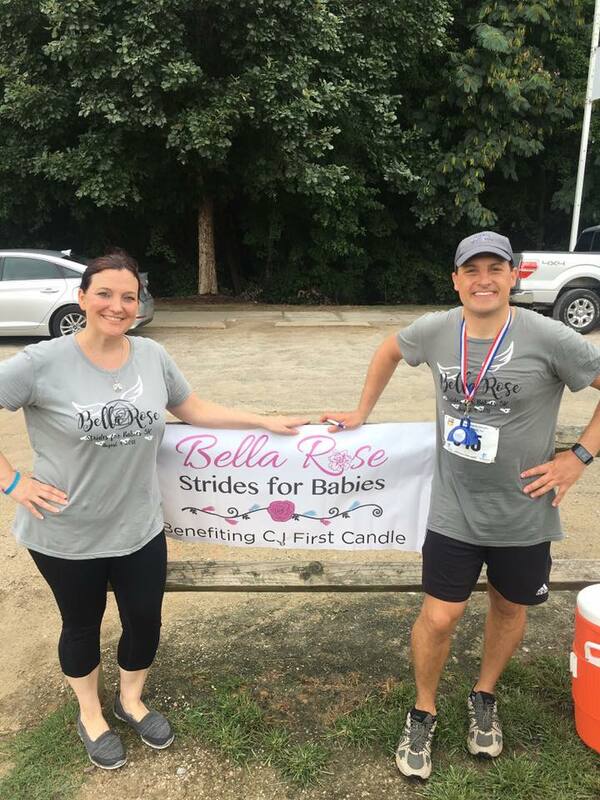 To honor her, Carolina Family Practice & Sports Medicine worked first with the CJ Foundation for SIDS, and now First Candle to organize the Bella Rose Strides for Babies 5K. In 7 years, the event has raised over $140,000 for the cause. We hope to have another great event this year further helping to promote awareness and fund research for SIDS.